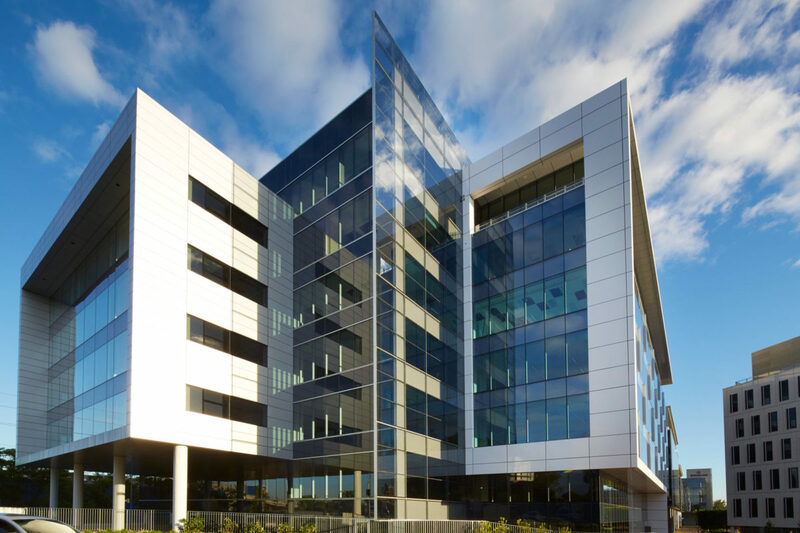 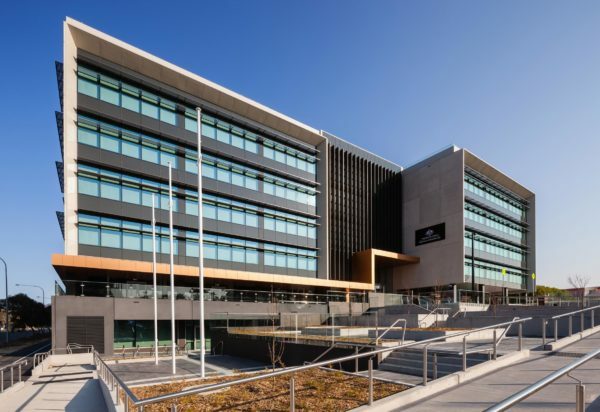 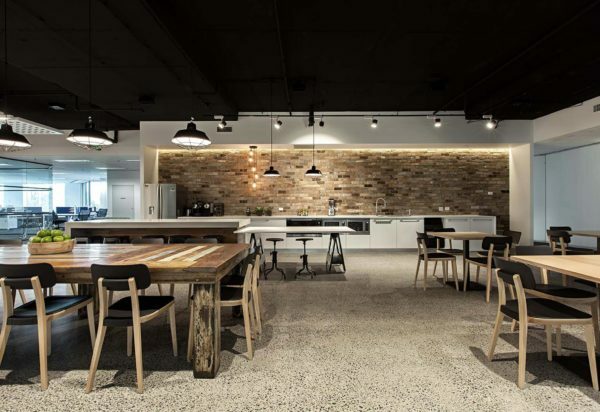 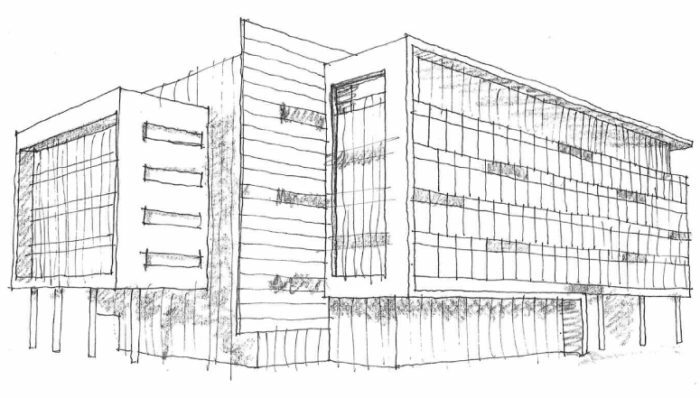 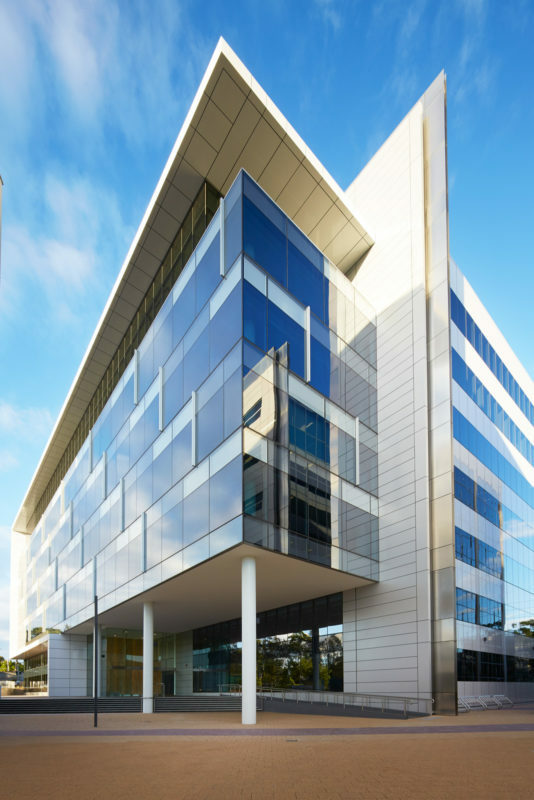 Designed in conjunction with the Australand design team and Future Space, Rhodes Corporate Park Building F is situated on the prominent approach to the park, acting as gateway into the commercial precinct. 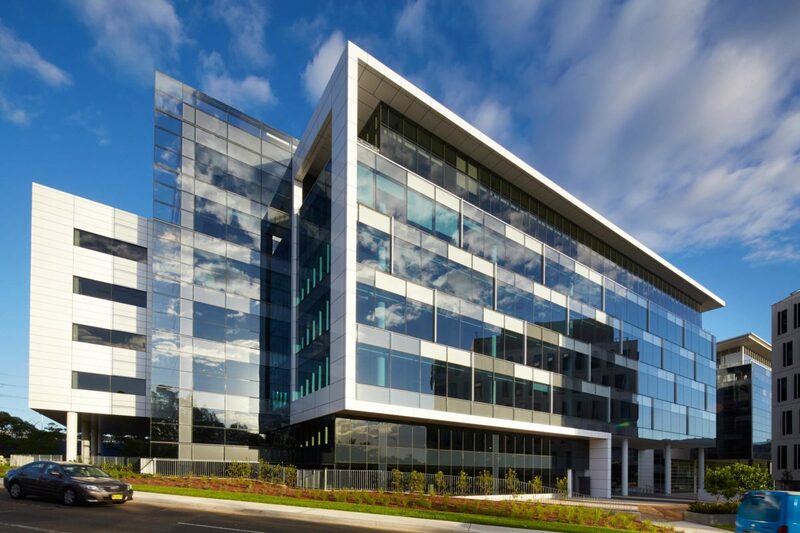 The playful facade employs dynamic features, blades, glass fins and shading to articulate the building form, with the deliberate alignment of the blades further accentuating these features. 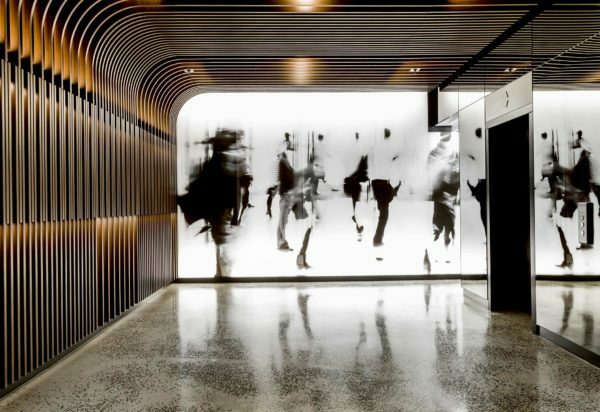 Indoors, spacious floor plates of 2700sqm and 10.4m column spacing provide tenants with flexible design solutions. 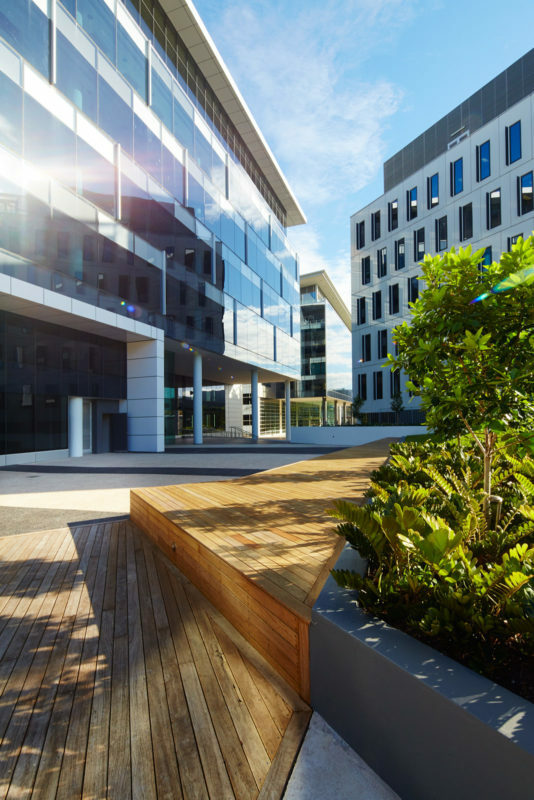 A striking two storey colonnade frames the external space, linking seamlessly with the park’s urban design. 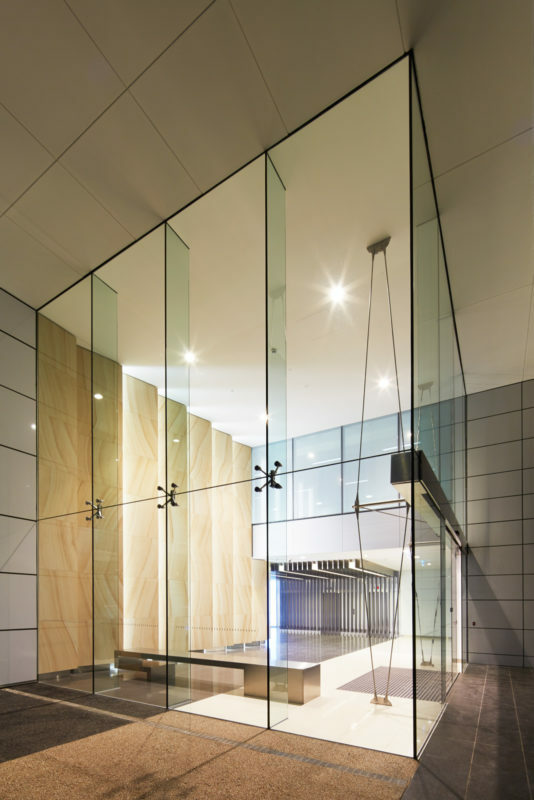 Lofty sandstone blades and light boxes capture interest, drawing occupants into the welcoming lobby area which features a stunning frameless glass box. 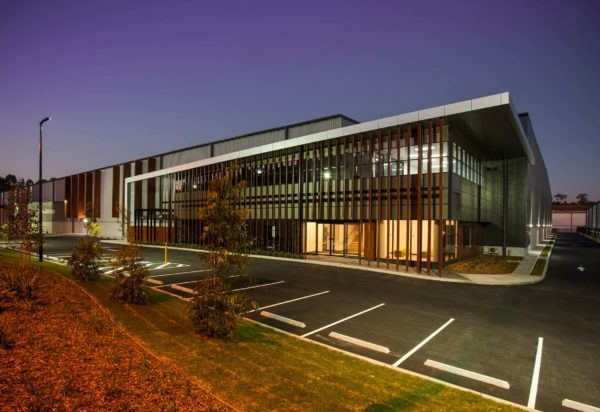 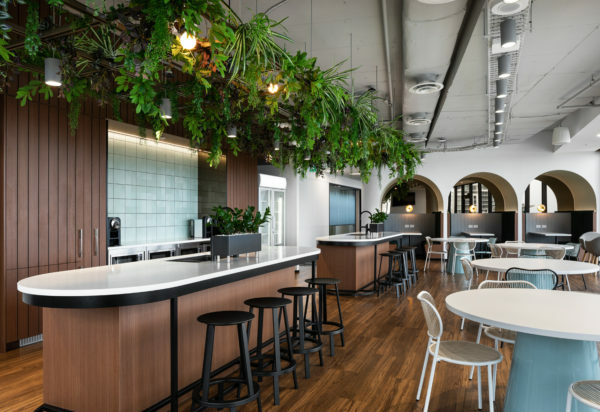 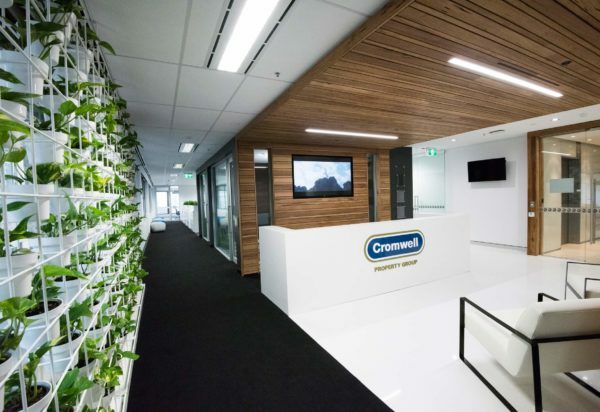 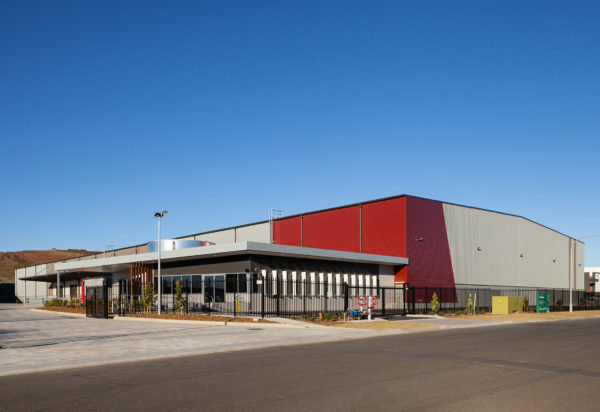 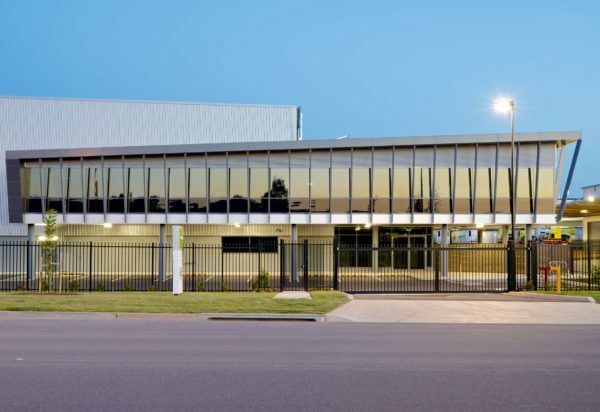 Low-energy lighting, daylight harvesting and chilled beams combined with low temperature VAV serve to achieve and maintain the project’s as built rating and environmental goals, through which it has achieved a 5 star Greenstar and 5.5 star NABERS rating.